Diamonds are the most popular stone used in engagement rings, and for good reason: not only are they beautiful, but they are hard and durable enough for everyday wear. Here are the basic facts you need to know if you are looking to buy one: Diamonds are graded, categorized, and priced based on what’s known as “The Four Cs”--Cut, Color, Clarity, and Carat (weight). This grading system is complex and dense, and can be difficult to understand without some visual aids. If you are interested in diamonds, we encourage you to come in so we can discuss the Cs and show you a variety of diamonds. In the meantime, know that we here at Goldsmiths Gallery value the cut of a diamond above all else. A well-cut low-quality diamond will still sparkle like mad, while a poor cutting job can make a colorless, flawless diamond look dull as rock salt. 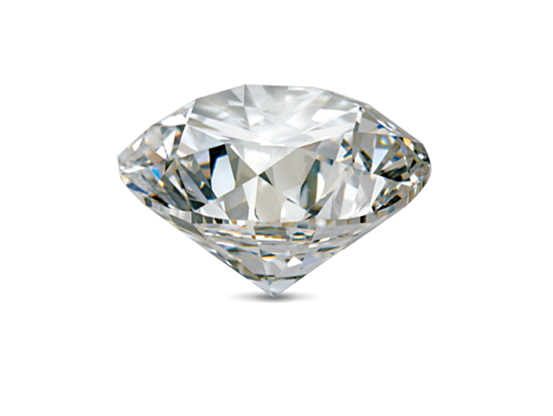 A diamond cut to optimal proportions, with optimal polish and symmetry, is known as an “Ideal Cut” diamond. Only 5 percent of the round brilliant diamonds on the market are cut to this high standard. Goldsmiths Gallery works primarily with “Ideal Cut” diamonds, unless otherwise requested. Feel assured that any stone you purchase through us will sparkle like a diamond is supposed to, regardless of color or clarity.